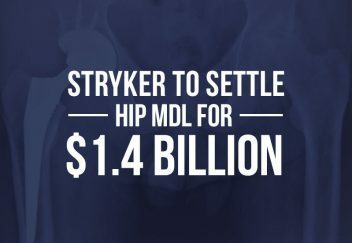 Medical device maker Stryker Corp. agreed to pay $1.43 billion to settle thousands of hip implant lawsuits filed by patients forced to have revision surgery when their implants failed prematurely. One of Stryker’s attorneys, Kim Catullo, announced the settlement Monday in the Bergen County courthouse before Superior Court Judge Brian Martinotti. According to the proposed agreement, each plaintiff who underwent revision surgery can expect to receive about $300,000. The devices in question, the Rejuvenate and ABG II metal-on-metal hip implants, caused about 4,000 patients in 39 states to file lawsuits in New Jersey State court and in federal court before U.S. District Judge David Frank in Minnesota. The device maker issued a worldwide recall of the implants in 2012. In court filings, plaintiffs claimed the implants released metal particles into the blood and surrounding tissue causing intense pain, swelling and a host of other problems that required revision surgery to replace the implants. Unlike several other device makers, Stryker made its agreements long before any cases made it to trial. Experts say the company settled cases before any could reach a trial because the company probably wanted to avoid a bigger loss. 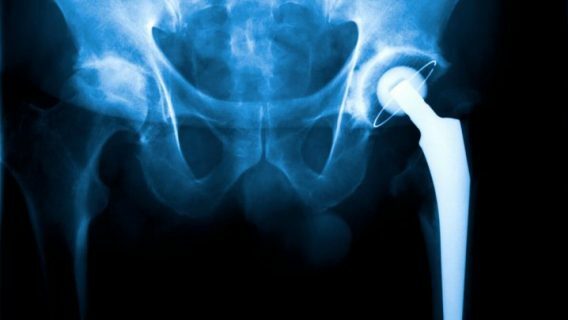 Another hip implant maker, Johnson & Johnson, paid billions to settle claims related to its DePuy ASR hip after losing millions of dollars in earlier trial verdicts. J&J still faces thousands of suits for the ASR and another implant, called the Pinnacle. A number of other device makers also face litigation, including Biomet (M2a Magnum), Wright Medical (Conserve) and Zimmer (Durom Cup). Hip recipients who underwent revision surgery prior to Nov. 3, 2014, are covered in the Rejuvenate/ABG II settlement. All claimants who filed a claim as well as those who have not yet filed are eligible to participate. Stryker is urging patients to contact their attorneys. While each award is estimated at about $300,000, people who had more than one revision surgery and suffered more severe injuries could be awarded additional money. 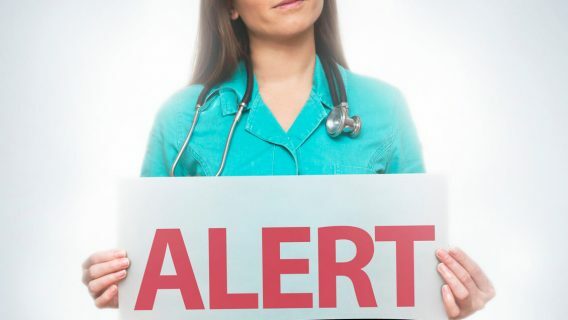 Serious complications — such as heart attack, foot drop, stroke and death — also may increase the award by as much as $600,000, according to the New Jersey Law Journal. 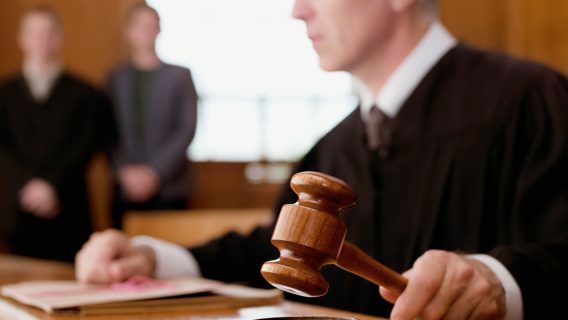 Also eligible for the settlement are patients who need a revision but cannot have one because it is too risky. 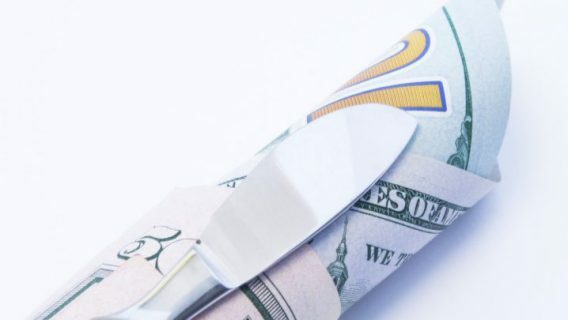 Older plaintiffs and any former plaintiff who is now deceased are subject to as much as a 30 percent reduction in award, lowering it to about $210,000. Plaintiffs’ lawyers worked to speed up the settlement agreement because many of the claimants are elderly. Stryker’s move to settle early in the litigation process might keep the company from the same fate as J&J. The New Jersey-based company agreed to settle thousands of its DePuy ASR claims for about $2.5 billion. In addition, the company has to pay for the costs of recalling 93,000 devices and reimburse insurance companies that paid to have the devices removed. Just last week, Bloomberg reported that J&J may pay an additional $250 million to resolve an additional 1,000 claims. Styker’s settlement begins on a smaller scale, but as word gets out, more plaintiffs could join. “We estimate that it will cover about 3,000 patients whose devices have already failed,” plaintiff’s attorney Ellen Relkin told Bloomberg. Stryker marketed the hips as durable, lasting for several years, but some failed after two. The company is not sure how many people are actually included in the settlement but expects to make the majority of the payments by the end of 2015, MLive.com reports.